Time to kick of the 2012 year for Masters of the Universe Classics, the 30th anniversary of He-Man! 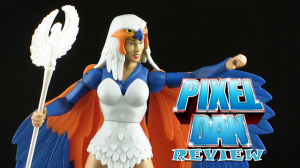 And what better way that with the protector of Castle Grayskull: The Sorceress! Join Pixel Dan for an advanced look! The Sorceress will be available on http://www.MattyCollector.com on February 15th, 2012!